Mariusz Treliński is a film, opera and theatre director. He was born 28/03/1962 in Warsaw. Treliński studied directing at the Państwowa Wyższa Szkoła Filmowa, Telewizyjna i Teatralna (State Higher School of Film, Television and Theatre) in Łódź, obtaining his degree in 1986. One year later he directed two television films: Dziurka od klucza / The Keyhole and Zad wielkiego wieloryba / The Great Whale's Bum. Under the studies period he created several school etudes including Robert Franciszek Herubin, Chodź / Come, Woyzeck, A Film about Punks. The last one was a documentary excercise, which included interviews with punks, recording of their private meetings and concerts in the time of martial law, censorship and state propaganda. For this particular film, Treliński was awarded in 1983 during Confrontations, a festival where etudes from two Polish film schools (from Łódź and Katowice) were presented. He premiered his first cinematic feature film,Pożegnanie Jesieni / Farewell to Autumn, based on a novel of the same title by Stanislaw Ignacy Witkiewicz (Witkacy), at the 1990 Venice Film Festival. His debut proved to be one of the most significant Polish films of the 90s. He premiered his first cinematic feature film, Pożegnanie Jesieni / Farewell to Autumn, based on a novel of the same title by Stanislaw Ignacy Witkiewicz (Witkacy), at the 1990 Venice Film Festival. His debut proved to be one of the most significant Polish films of the 90s. In Witkacy, the director above all saw a vision of chaos that allowed the inhabitants of Central Europe to become slaves of Communism. From the feverish rhythm of pictures that are consciously distorted, grotesque, shrill, overstated and absurd, emerges the image of a red revolution that destroys everything that came before it. (...) Treliński has proven himself an artist who has a visionary imagination, wrote Marek Sadowski (Rzeczpospolita, 1991, no. 10). In making Farewell to Autumn, Treliński found a persuasive cinematic equivalent of the avant-garde prose of Witkiewcz. The film simultaneously includes elements to which the artist would remain faithful in the future as a film and theatre director: these include decisive transformations of reality and an extremely expressive poetic. Farewell to Autumn garnered Treliński a number of awards, including the Andrzej Munk Prize and the Award of the Minister of Culture and Art of the Republic of Poland for best debut of the year. For the next two years, Treliński was artistic director of the Karol Irzykowski Film Studio. From 1989 until 1991 he was also a member of the Committee of Cinematography. In 1992 he once again took up directing, this time on stage, when he mounted a production of Lautréamont's Sny wedlug Piesni Maldorora / Dreams, After The Songs of Maldoror at the Teatr Studio (Studio Theatre) in Warsaw, with scenery designed by Andrzej Kreütz-Majewski. In 1995 Trelinski made his second film, Łagodna / A Gentle Woman, based on a short story by Fyodor Dostoyevsky and starring prominent Polish actors Janusz Gajos and Dominika Ostałowska. The film featured a carefully studied, intimate story that proved convincing to viewers for a plethora of reasons, including excellent acting and the exquisite cinematography of Krzysztof Ptak. Treliński remains faithful to Dostoyevsky's prose. In contrast to Robert Bresson and his adaptation (...), the Polish director retains the three classical unities. He restricts the space of the story, creating a feeling of growing encirclement, claustrophobia, a sense of the harsh land of purgatory. The visuals in the film are also something we see rarely in our cinema (Jerzy Wójcik, Rzeczpospolita, 1996, no. 267). I came to the opera from the outside. I had two objectives: to destroy its inherent sentimentalism and the kitsch aesthetics that dominated it, and above all to open this creative form to contemporary times, to give it the dynamic and temperature of our times. I love opera as a genre, but I hate what has happened to it. As long as it remains deaf to what is happening around us, opera remains a museum piece. There is not a trace of contemporary aesthetic currents within it, i.e. no installations, no truly modern painting or architecture. The beauty of traditional operatic music combined with contemporary aesthetics is a truly electrifying mix. In 1996 Treliński staged Shakespeare's Macbeth at the Teatr Powszechny (Popular Theatre) in Warsaw. One year later, he directed prominent actors Jan Peszek, Katarzyna Figura and Danuta Stenka in a Polish Television Theatre production of Augustin Scribe and Ernest Legouve's Adrianne Lecouvreur. In 1999 Treliński returned to the Grand Theatre in Warsaw to direct Giacomo Puccini's Madame Butterfly. Boris Kudlička designed the scenery for the production, thus becoming Treliński's regular collaborator. With Madame Butterfly Treliński proved himself Poland's most interesting contemporary director of operatic productions, a director whose works have defined a modern trend in opera. The artist staged the opera in a quasi-theatrical manner, strongly exceeding the established and rigid conventions of the genre. Treliński consistently avoided the genre-based aspects of the work, creating a universal story based on sophisticated images and free narration. The director's subsequent production of Madame Butterfly at the Washington Opera in 2001 proved a great success. He was invited there by Placido Domingo. 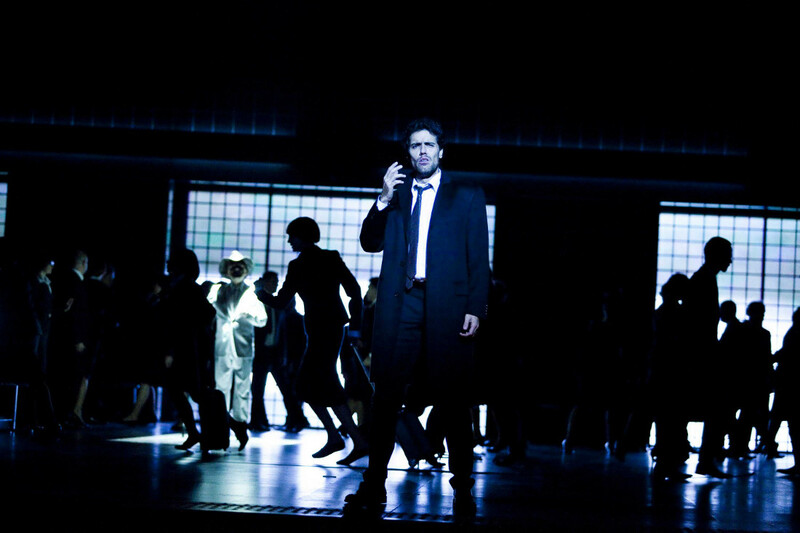 Later Madame Butterfly was staged in Mariinsky Theatre in Saint Petersburg (2005) and the New Israeli Opera (2008). In 2000, once again at the National Opera in Warsaw, Treliński directed a production of Karol Szymanowski's Król Roger / King Roger. Treliński is not interested in remaining faithful to his material, wrote Tomasz Cyz. He deletes all references to the historical world. The time and place of this production seem not entirely specified, not completely defined. (...) Treliński also demonstrates his own theatrical language in including the character of the Shadow who constantly follows Roger - a naked ephebe that is Roger's 'second I,' perhaps another embodiment of himself that reflects his fears and his new dreams. (...) Mariusz Treliński's 'King Roger' is a struggle - of a man for himself, of a man for the truth, for awareness of who he is and whether he actually exists. Is he a man? A woman? Or maybe... a god? (Tygodnik Powszechny / Popular Weekly, 2000, no. 24). That same year Treliński also returned to the cinema with the feature film Egoiści / the Egoists, a story about the Warsaw artistic and business elite. The film proved scandalous because of its amoral vision of contemporary times, but critics generally remained very reticent. However, 'Independent of Treliński's intentions as an author', Mateusz Werner underlined, 'his film explores very basic issues, without an understanding of which it is impossible to understand the 1990s in Poland - that strange, deviant time when former slaves of a system metamorphosed into free individuals' (Film, 2001, no. 2). This sentence is some kind of key-confession. If we are lonely, we are cursed, because we do not deserve the highest good, love, which awaits us all. My protagonists are drilled people, isolated from the thing that becomes the pure air, breathing and the engine of the all ativities. In the film I suggest that my characters are the ones to blame for their loneliness. They live in trance, in such a mysterious condition of their souls, where everything is allowed, their lives are neverending parties. We are responsible for our own actions, we have chosen this condition. I am blushing when telling such trivial things. We all know we are some halves created to coexist. In case we so wish to live in isolation from love, it is a pathological state and I made a film about this paricular illness. 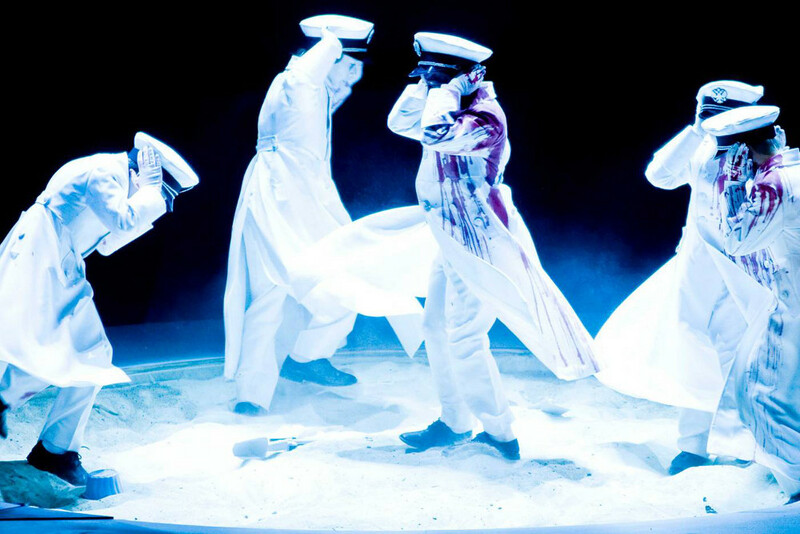 At the same time, discussions were lively about Treliński's new opera project, Giuseppe Verdi's Othello (2001). The director's operatic offerings began to elicit controversy, and while Treliński already had his loyal viewers who eagerly awaited his next production, he also had staunch detractors. In 2002 Treliński staged Peter Tchaikovsky's Eugeniusz Oniegin / Eugene Onegin. Once more he proved capable of transferring emotions inscribed in the music and libretto into contemporary language, which resulted in the creation on stage of a disquieting symbolic reality. The production's visuals and the staging ideas for certain scenes - including a fashion show during the Polonaise that opens Act III as well as Triquet's couplets accompanied by a female dancer jumping out of a cake - consciously toyed with the artifice of operatic stagings and were simultaneously ideas that balanced at the edge of kitsch. In this manner Treliński engaged in a dialogue with operatic conventions, underlining their settled and schematic nature while simultaneously offering new solutions. Just as in King Roger, so in Onegin the director introduced a new, mysterious and unspecified character (played by Jan Peszek), designed to represent old Onegin. In 2002 Treliński, remaining loyal to the National Opera in Warsaw, staged Wolfgang Amadeus Mozart's Don Giovanni, brilliantly underlining both the serious and jocular tones of the work. 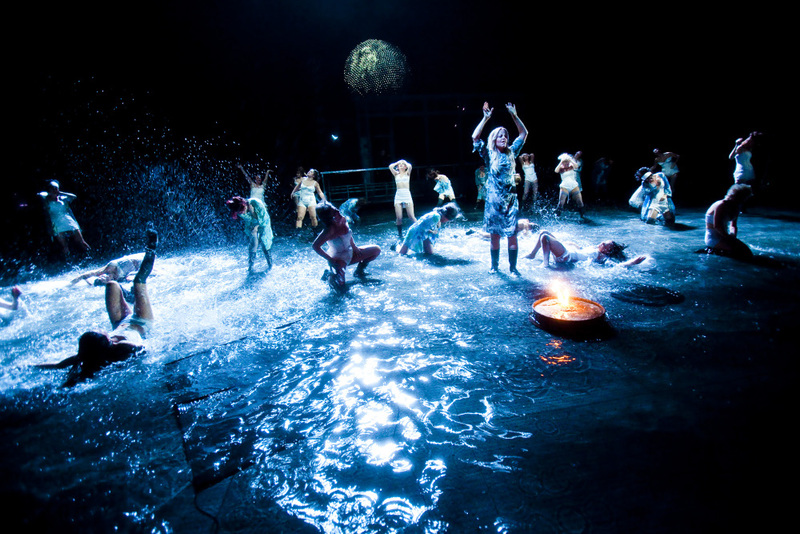 Boris Kudlićka designed the scenery for this production, while the costumes were the handiwork of Arkadius, one of Poland's most famous young fashion designers of the time. With Arkadius' costumes, what we have here is a magical, coherent visual creation that combines tradition with contemporary technology. Among the fiber optic labyrinths and cages that reference Renaissance architectural plans, we see characters from the Commedia dell'Arte. The production is a lot more traditional than expected. The costumes make us aware that in essence what we have today is another era of Rococo overstatement, one that is not all that stylistically and mentally distant, it would seem, from that which occurred long ago, wrote Dorota Szwarcman (Polityka / Politics, 2002, no. 50). In some sense, I paint operas more than I psychologize them. Opera should remain aware of its artifice, because singing humans are abstract in themselves. I try to build a space on stage that would be adequate to this convention (Mariusz Trelinski in an interview with Tomasz Cyz, Didaskalia, 2003, no. 53). Don Giovanni was a co-production of the Grand Theatre-National Opera in Warsaw and the Los Angeles Opera and proved a tremendous success when performed in the United States. It is an architectural symphony about Emptiness. This architecture, which created for us in the past ten years the world of Treliński and Kudlička, features the thing characteristic for Mussorgsky – vastness. Spacial, seamless orchestration of structures has something in common with this music. Domes of the Orthodox church had some ingenous presence of God and the architecture of huge precise structures creates Absence – one of contemporary Gods images. ("Dwutygodnik Strona Kultury" 2009, nr 17). The choice of the conductor was also important. My favourite interpretation of this opera is the renowned 1987 recording by Carlos Kleiber, which also became a signpost for me; I am much less fond of a low-key approach to this composition, presented by e.g. Lorin Maazel. Kleiber’s strange frenzy made me notice some astonishing qualities in La Traviata – this composition carries a certain insanity deep within. So I decided to present it in the spirit of Bob Fosse’s All That Jazz. We start with a ‘show must go on’ attitude and with action, energy, and colours. The first act is set at a cabaret, as Violetta is a cabaret artist in this performance. She has to play all the time, and wear a mask underneath which she hide her shyness and awareness of the impending death. She has, however, said to herself: ‘I mustn’t love, as this will kill me, and neither should I reveal my weaknesses to anyone. The same year saw another production of The Queen of Spades – the opera’s new interpretation was presented at the Israeli Opera in Tel Aviv. In January 2011, Treliński’s vision of Onegin was shown at Palau de les Arts in Valence; in April of the same year his reinterpretation of Puccini’s Turandot premièred at the National Opera in Warsaw, while in May – his Don Giovanni at the Wrocław Opera. I was drawing inspiration from Buñuel’s That Obscure Object of Desire and Lynch’s Lost Highway. In the former, two actresses impersonate the same character, while in the latter, one actress plays a double role. Their partners struggle with comprehending the essence of their femininity and identity. In January 2013, Manon Lescaut was presented in front of one of the most demanding audiences worldwide – at La Monnaie in Brussels and the Welsh National Opera in Cardiff (2012). 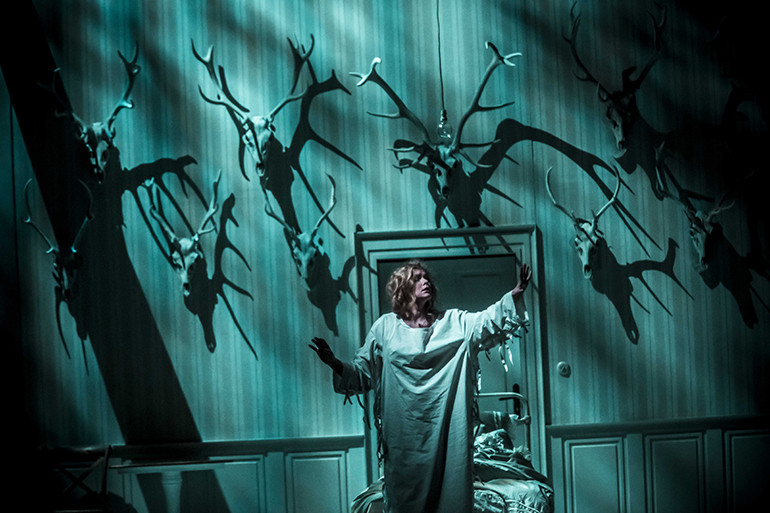 The next year Treliński directed Bolulevard Solitude by Hans Werner Henze at the Welsh National Opera in Cardiff. In the spectacle, called by The Times: better than perfection, there are clearly visible inspiration by Billy Wilder's Sunset Blvd. (1950). The effect of adapting it into Manon Lescaut was brilliant as Tomasz Cyz notices in his review for "Gazeta Wyborcza" daily. An idea to present the opera Boulevard Solitude (1952) by Hans Werner Henze in the same scenography as Manon by Giacomo Puccini is obviously clear because of the literary source of both operas – a novel Manon Lescaut by Abbé Prévost. The space id identical in both performances: underground, flashing trains' lights, a bar in the middle covered with colourful cold lights, officials in uniforms going to work. Also in 2014 the audience in Prague was given a chance to watch Salome by Richard Strauss, directed by Treliński. The performance was co-produced by Národní divadlo in Prague. Just as in The Flying Dutchman the director tries to find balance in clashing impossible, surreal situations with real, human behaviour. The biblical story gains a new dimention when transferred to the world of stifling frame of bourgeois family. Combining Tchaikovsky with Bartók is my original concept, and it connects two disparate musical worlds in quite a shocking way. The cohesiveness of the performance stems from the idea that in fact it is one story about a woman at different stages of her life. Indeed, these are two fantastic stories, two fairy tales that, after reading Bruno Bettelheim’s interpretations, I’ve learned to treat seriously. Jolanta is a story of a blind girl isolated from the world by her jealous father. For Jolanta, their relationship is traumatic. The composer's autobiographical content is easily discernible: while writing his last opera, Tchaikovsky was accused of homosexuality, which resulted in his several suicide attempts. - pondered the director in an interview with Anna S. Dębowska of Gazeta Wyborcza. Shortly after the standing ovation at the premiere, Treliński said that it was a fulfilment of his ‘American dream’. The Polish staging was announced in New York as one of the events of the season. And that's not the end of the Polish-American co-operation. A staging of Tristan and Isolde also directed by Mariusz Treliński will open the 2016 season at the New York's Metropolitan Opera. Concurrently he was nominated fot the Interational Opera Awards in the best director category, which is granted annualy by the British Opera Magazine. Scandals are one-dimentional and do not last long. The opera by Thomas Adés has a schocking libretto, because vivid life of Dutchess Margaret Campbell, who is was an inspiration to the protagonist of Powder Her Face, was schocking for the British society in the mid 20th century. Adés has created this piece inspired by constructions by Shakespeare or Genet. This is one of the most interesting operas that I have ever worked on. It seems amazing that each and every character undergoes metamorphoses, puts on masks and becomes someone else, however still having the meaning of the archetype. It builds interesting intrerpretational keys. (Jacek Marczyński, Rzeczpospolita). The spectalce was created in co-production with La Monnaie and later presented in Halles de Schaerbeek i Brussels. We are extremely happy that we were chosen for this project. There are places artistically significant and places less important, less prestigious. There are places observed by the whole world. When there is a premiere at MET, we have live broadcast online in several dozen of countries. It means that the composition will be heard and the performance will be seen by several million people. It is not to be underestimated. From 2005 to August 2006 Treliński was an Art Director at the Grand Theatre – National Opera in Warsaw. Later on, in October 2008 he was appointed Deputy Director in Art and in March 2011 again the Art Director. He has also authored many Television Theatre productions. So far they include: Siostry / Sisters (1993), Pająk / The Spider (1994), Natalia (1994), Adrianne Lecouvreur (1996) and Jolanta / Iolanta (2013). Treliński has explained his approach to creating art in an interview for Tygodnika Powszechnego weekly. In 2016 Treliński was again nominated for the prestigious International Opera Award in category Best Director and he was competing with Kasper Holten, Damiano Michieletto, Katie Mitchell, Laurent Pelly and David Pountney. The same year he was granted, together with Boris Kudlička, Culture.pl Superbrands, Award. The award was founded by the Adam Mickiewicz Institute in cooperation with Superbrands Polska. It is awarded to the artists and cultural institution actively and most effectively promoting Polish brand abroad. 2001 - "Polityka" Passport Award for his modern, intelligent stagings of operas at the Grand Theatre in Warsaw, for productions that speak to contemporary viewers. 2016 - Culture.pl Superbrands Award for Mariusz Treliński and Boris Kudlička for promoting Poland abroad.